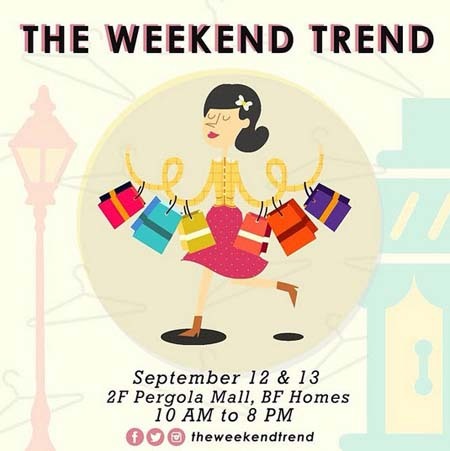 (SPOT.ph) South kids (and those willing to drive where the grass is greener and the skies, bluer), catch your favorite online shops under one roof and shop till you drop at The Weekend Trend bazaar happening this weekend, September 12 and 13 at 2/F Pergola Mall, BF Homes, from 10 a.m. to 8 p.m. Entrance fee is P20. 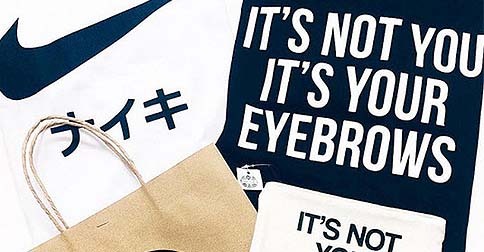 Shop unique fashion finds from favorite online shops like UNDO Clothing, Quina PH, Caia the Label, HYGGE, The Penthouse, E.T.S.Y. Manila, Two Phase Clothing, Simple Life PH, Indie Go Boutique, LAX Apparel, Band Feels MNL, Seashop, among many others. There will also be a collage art workshop held by Woman, Create which you can join for P650.